Felicitations from Malaysia: 恭喜 恭喜 Congratulations! Hong Kong’s unicameral mini-parliament the Legislative Council (LegCo) is composed of 70 seats, half delineated by geography (hence Geographical Constituencies, GC) and the other half by economic and social function (Functional Constituencies, FC). 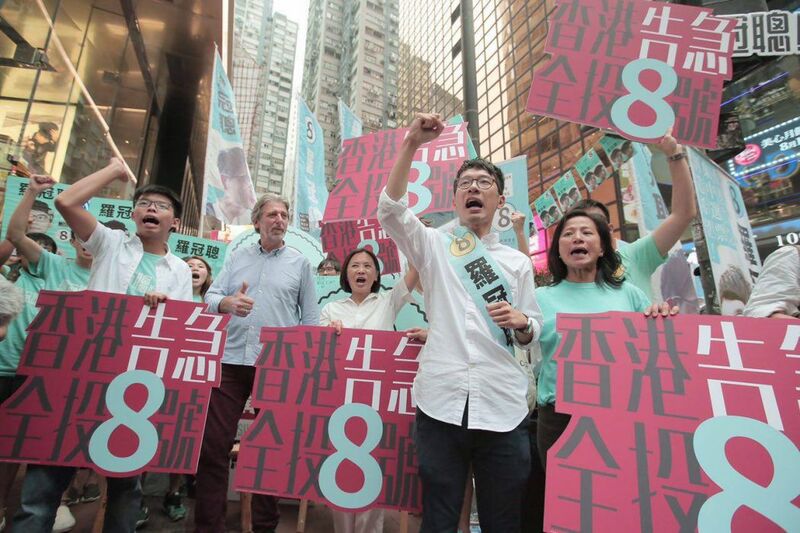 This month’s election is the sixth since Hong Kong was returned to China in 1997. For a population of seven million, and 3.37 million registered voters, Hong Kong people are spoiled for choices, about 2 dozen political parties. Only vaguely is the division of these parties on a left-right spectrum. Instead, and much like in Taiwan, the parties are grouped into two rival camps: those wanting closer ties with Beijing (the pro-Beijing) and those wanting greater autonomy (the pan-Democrats). Pro-Beijing have always been, even today, strongest in functional constituencies and have half the seats by geography. In combination, therefore, they have the equivalent of a two-thirds majority to change the HK constitution known as the Basic Law though this hasn’t happened so far. In this election, the outcome proved to be different. 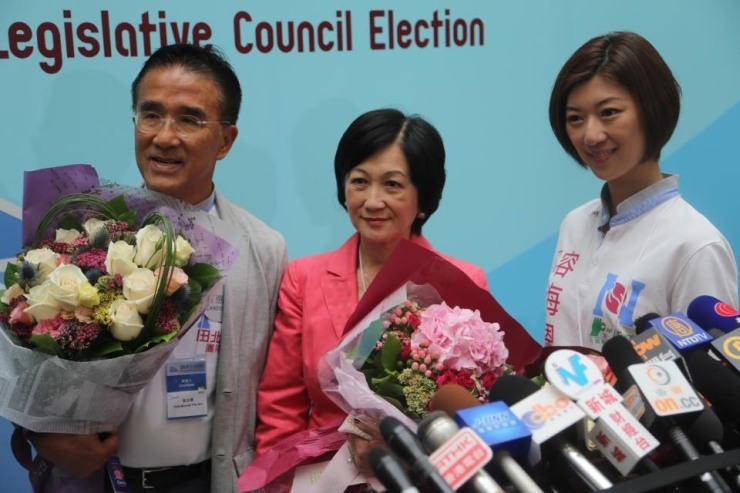 Pan-Democrats won three extra GC seats in the election that ended yesterday, giving them 19 out of 35. Added to the eight retained at FC, their combined total of 27 is more than the 24 seats (of 70 overall) needed to deny pro-Beijing a two-thirds majority. This margin is necessary because the pan-Democrats are so splintered. 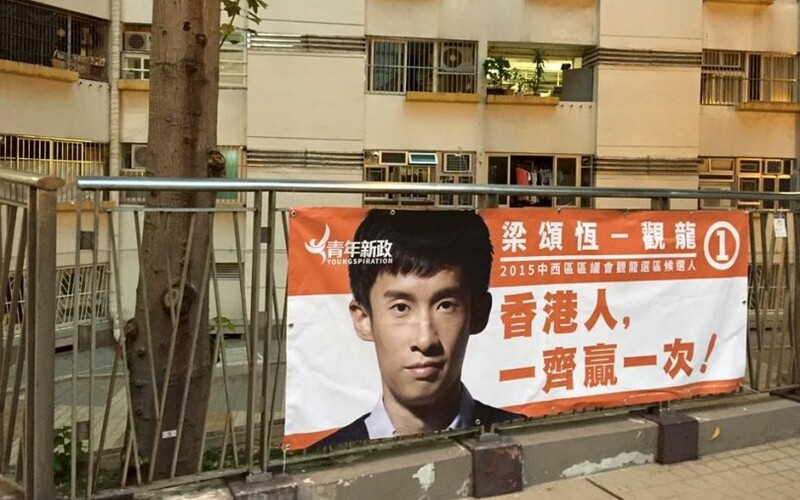 Nathan Law 羅冠聰, age 23, from a new party named, in English, Demosisto. He is now the youngest legislator. Leung Chung-hang 梁頌恆, 30, like Law, also ex-Umbrella Movement, party Youngspiration. 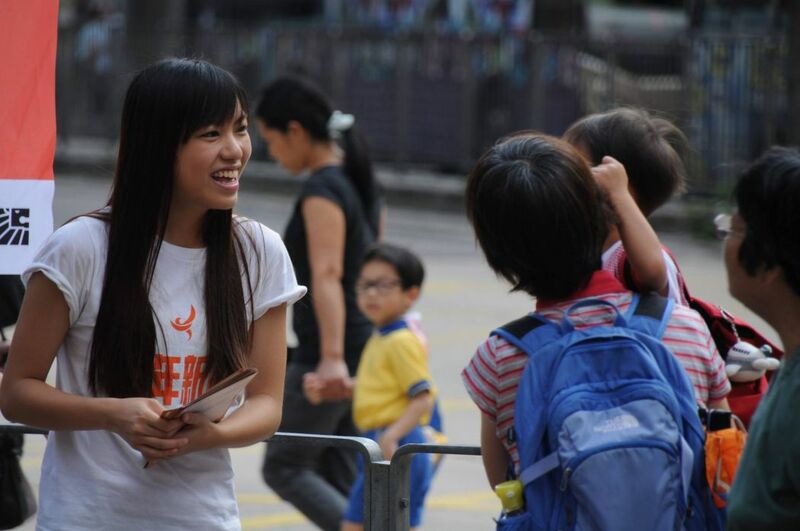 Yau Wai-ching 游蕙禎, 25, graduate in Chinese language, also Youngspiration. She won on a 424-vote margin. Campaigning below for Wai-ching: Notice that, unlike ceramahs in Malaysia, candidates like Yau speak alone at a street corner, sometimes facing no one — not one human being. It is a lonely job, but this campaign method is cheap: a bullhorn and posters, maybe fliers, and that’s all. No free curry puffs, no chairs, no stage, nothing else. 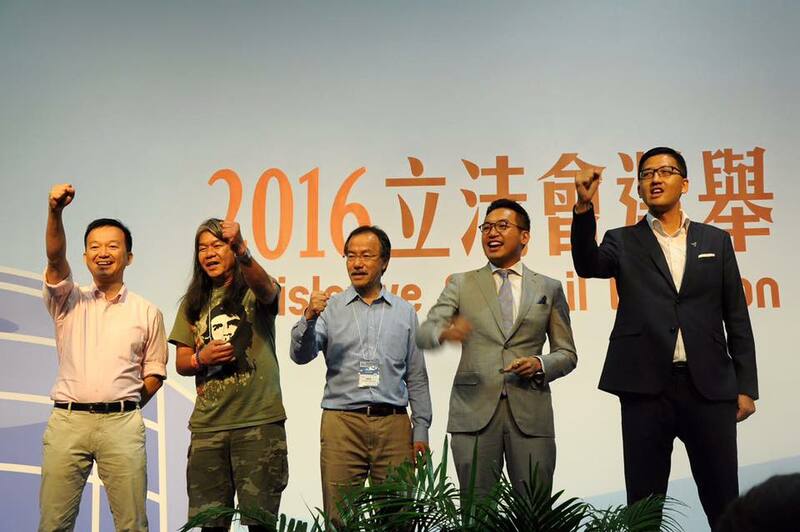 Other pan Democrats: the seasoned politicians.